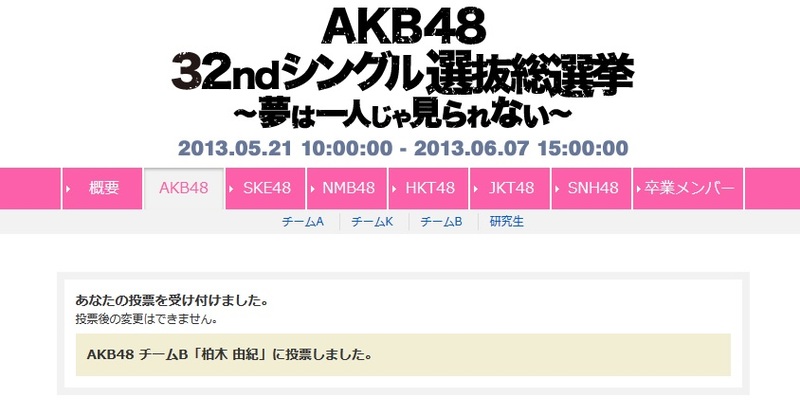 Voting begins for the 32nd Single Senbatsu. One vote down, many more to go! Yukirin has also made her intentions clear, she’s only part way through her dream, she wants to work hard for AKB, she wants to aim for higher ground. Let’s do it Yukirin fans!!! Thank you vote for yukirin !